Pixel Buds are Google’s take on Apple’s AirPods. 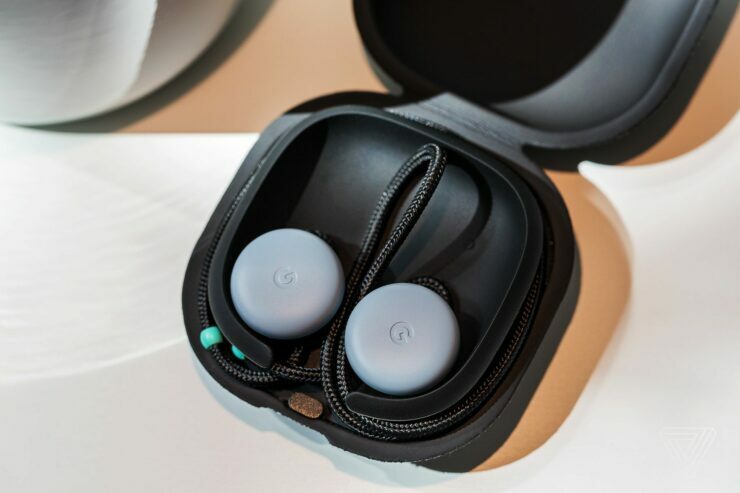 At the Pixel event on October 4th, Google unveiled these high-end wireless Bluetooth headphones. The pair houses Google’s impressive software leap “real-time translation” that translates any language in real-time, Google Assistant, and more. Today, Google confirmed that the amazing real-time translation feature won’t stay limited to just Pixel Buds and the new Pixel 2 lineup. It will also be available for last year’s Pixel lineup. Pixel buds are compatible with Android 5.0 or higher and iOS 10.0 or above, but Google Assistant needs to be installed on the iOS device to make the Pixel Buds work. Even though Pixel buds are compatible with Android and iOS phones, the real-time translation is limited to Made-by-Google phones only i.e. the Pixel, Pixel XL, Pixel 2, and the Pixel 2 XL. At the Pixel 2 event, Google also showed the real-time translation feature demo on stage with the Pixel 2 phone, but a Google support article now confirms the compatibility of the feature with the last year’s Pixel phones. It is certainly a welcoming news for the original Pixel owners. In addition to Made by Google phone requisite, the real-time translation feature also requires the Google Translate app to be installed on the device. Google states that the function is triggered from Google Assistant by asking “Help me speak [language]”. Google also notes that Pixel Buds will be able to translate 40 languages with the help of the real-time feature. Pixel Buds will go on sale this November for $159. The wireless Bluetooth headphones will be available in Just Black, Clearly White, and Kinda Blue colour variants. Currently, Google Store shows the status of the device as “Sold Out”, but there is a waitlist that will notify you when the product comes back in stock.